Tweed is a trend that just won’t quit and with its ever growing popularity, I have finally given in and purchased myself a Jacket, complete with elbow pads and all! I have resisted for so long, mainly through stubbornness and an absolute refusal to look anything like a cast member from Made in Chelsea; but also because decent looking, nice fitting tweed is pricey! However, last week I was stood on the tube and reading another girls magazine over her shoulder (as you do) and an advertisement for Missguided.co.uk caught my eye so I took a mental note. Once I was home, I looked up all the delights the site offers for women and my eyes popped at the cute designs and reasonable prices! It reminded me of how ASOS used to be in its first year, before it got so big and pretty expensive too. I thought I’d do a quality test so bought a dress I liked in the sale, the next day it arrived and I was very impressed by the material; both its durability and feel. I also thought to myself that cheaper clothes can often be shapeless but this dress was perfect and genuinely fit like a glove. So, what’s a girl to do? I immediately jumped back on the site and purchased a few more bits! That is when I saw the tweed-style jacket! It was the price that made me take the risk. At £29.99, where could I go wrong? Plus with free returns in case I just couldn’t handle myself in it I thought it was worth a try. However, when it arrived I pretty much fell in love. It has a really nice slim fit, highlighting my waist and still showing off my curves which makes me feel feminine. I am a big fan of the soft suede elbow pads which are a great detail as are the marble style buttons which make it look more expensive than it is. It is obviously not tweed, tweed, but who cares?! It looks great and I’ve already had a whole ton of comments on it. Let me know what you think and make sure you check out http://www.missguided.co.uk! Plus, like them on Facebook and receive 10% off! 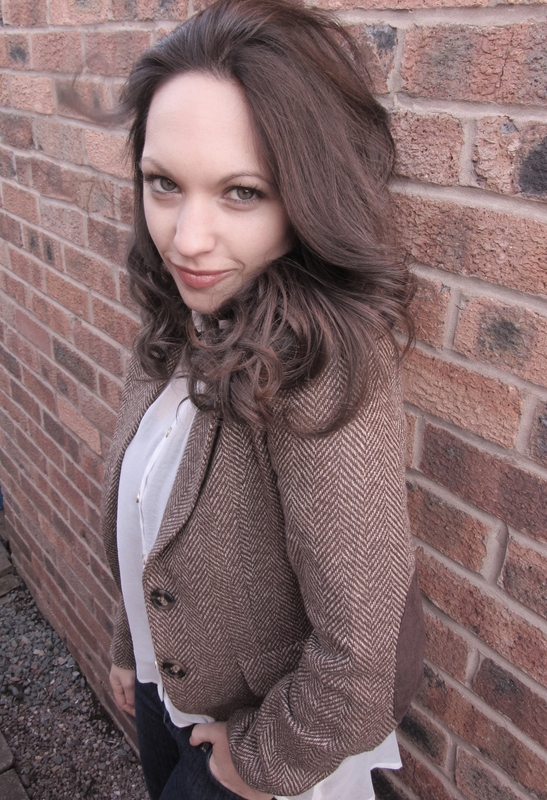 This entry was posted in Fashion & Beauty and tagged blazer, jacket, missguided fashion, tweed. Bookmark the permalink. I normally don’t look at women’s clothing catalogs, but K8 piqued my interest. One section of the online catalog caught my attention… ‘Shop By Celebrity Style’ (See http://www.missguided.co.uk/clothing ). I have never noticed a section labeled as such in any product offering, clothing or otherwise. Haha maybe she will soon!! I love it, and I need a good tweed jacket too! I have a longer one,in black and white,since 2004… I wear it almost every year..
Ooo that sounds really nice! I want o see a pic!